Joaquín Ruiz-Peinado Vallejo was born in Ronda on 19 July 1898. He showed early talent, resulting in his enrolment in 1918 at the San Fernando’s College of Fine Arts. He obtained a scholarship for three years to study in the Santa María de el Paular Monastery (1921-1923). Once he finished his studies in 1923 he went to Paris, where he settled. He soon entered the Parisian artistic world and came to form part of the Escuela Española de París (Spanish School of Paris), together with other Spanish artists such as Manuel Ángeles Ortiz, Hernando Viñes, Francisco Bores, Pancho Cossío and Picasso (with whom he shared a special friendship). Meanwhile, he maintained contact with his friends back in Spain, one of them being Federico García Lorca, who met Peinado in Málaga in 1918, and also Francisco García Lorca, who was a good friend of his. He kept contributing to the Spanish artistic world, participating in the mythical Society of Iberian Artists’ First Exhibition, celebrated in 1925, and in José María Hinojosa’s La flor de California. Málaga’s Provincial Council gave him and José Moreno Villa an arts award in 1929 at the Regional Exhibition of Modern Art, celebrated in Casa de los Tiros, Granada. He also got involved in Scenic Arts, participating in Un Perro Andaluz (1929), in his friend Buñuel’s La Edad de Oro (1930), and, as a scenographer and an extra, in Carmen de Feyder (1925). In 1926 he participated in the performance of El retablo de Maese Pedro de Falla in Amsterdam, alongside Buñuel, Cossío, Viñes, and Ángeles Ortiz. His artistic trajectory gave him a prominent position in the Escuela de París: his merits as an artist led him to hold the post of director and vice-president of the Sección de Pintura de la Unión de Intelectuales Españoles (Painting Art Section of the Spanish Union of Scholars). He was also nominated by UNESCO as delegate for the Sección de Pintores Españoles de la Escuela de París (Spanish Painters Section, School of Paris). 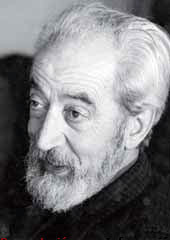 He organized part of the 1946 exhibition Art in Republican Spain, Spanish artists from Escuela de París, held in Prague. From this moment on, both individual and collective international exhibitions became frequent. He was regarded as part of the best French art producers of the time. 1945 was also a time when he developed a personal style which would remain with him forever: alternating with geometric abstract experiments, he highlighted the importance of the model, the accuracy of the drawing, the rationalization of the representation, and the use of watercolour. An exhibition organized by the State Office of Fine Arts brought him back to Spain in 1969. Peinado is a central piece in the revision of contemporary Spanish art and the Escuela de París. His work is also important in the exploration of plastic ways of communication, such as neo-Cubism, Lyrical Figuration or Geometric Abstraction. He died in Paris on 13 February 1975.
.:: Copyright © Fundacion Unicaja Ronda 2009 l VEGAP 2009 ::.